In Perfect Time Kindle HDX Giveaway Winner! In Perfect Time Kindle HDX Giveaway! In Perfect Time Release Day Giveaway! 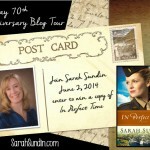 D-Day 70th Anniversary Blog Tour – Giveaway Winners!